Why Do I Feel Guilty When I Stay Out Late While My Cat’s Home Alone? Every time I come home in the early evening, my cat is on the other side of the apartment door waiting for me. I could delude myself into believing that she’s waiting there because she misses me so much–but the truth is she’s waiting for me to serve up her evening wet food meal. But if I return home at a later than usual time, I still feel a wave of guilt coming over me, like I’ve somehow neglected her. At times, it seems like I’ve upset my cat. Do you ever feel that way? This is a common feeling among cat owners. It’s also one exacerbated when you go on even a short vacation. 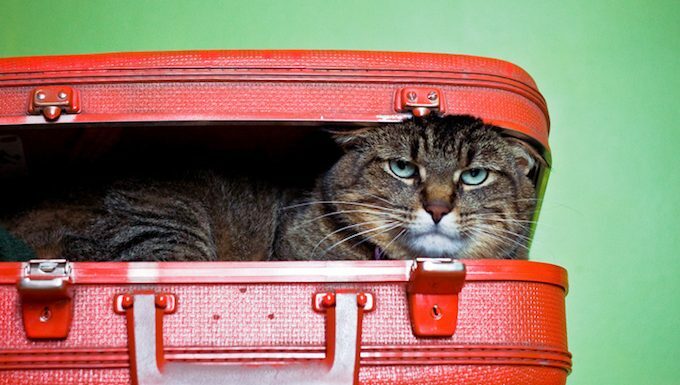 While en route to the airport or train station, your excitement about going away is often quashed by a feeling of guilt that you’re leaving your beloved feline home alone for such a long time. If you’re traveling with someone you live with, you’ve probably asked them, “Will the cat be okay?” simply to receive some reassurance that, yes, she will. 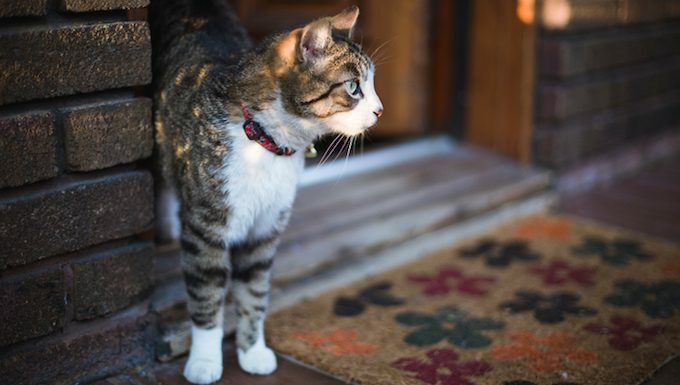 Obviously, when you return home you almost always find that the cat is indeed okay–even if they might be a little skittish or needy at first. But the next time you depart, you still feel the same guilty feeling wash over you. How do you, as a cat parent, deal with that guilt? 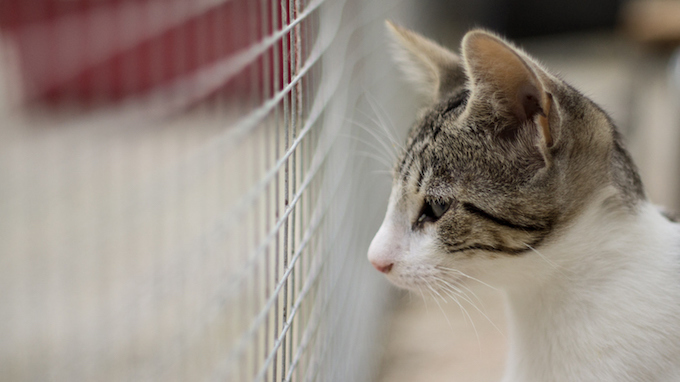 If you rescued or adopted your cat, it might help to think back to your kitty’s life before you provided a forever home. Things were likely a lot harder as a stray feline–and being cooped up in a cage in a shelter might be safer, but it’s hardly a salubrious hotel sojourn. 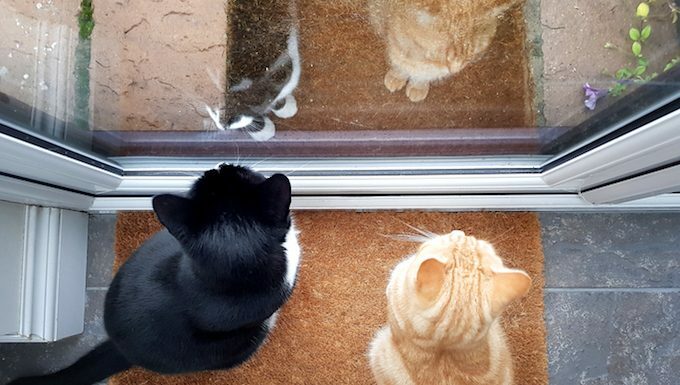 While your cat might seem a little spooked that you’ve broken from the regular routine–and cats are, after all, creatures of strict habit–remember that they’re in a much happier place now. After all, almost no cat ever considered having some extended peace and quiet time alone on the bed as any sort of hardship. So enjoy your own free time knowing that, honestly, your cat is just fine. And you can always make it up to kitty when you get home with plenty of snuggles, treats, and playtime. 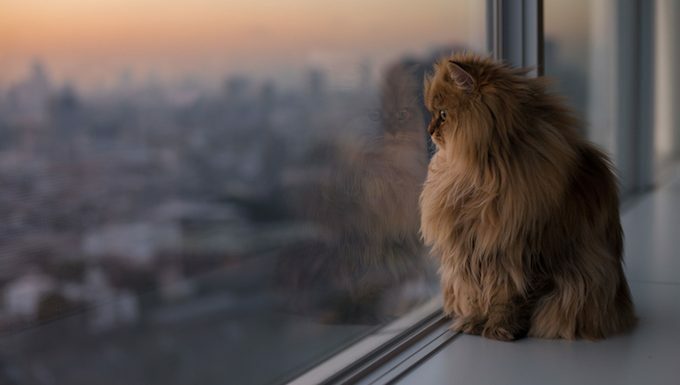 Do you ever feel guilty for leaving your cat at home alone? What do you do to get over it? Let us know in the comments below!